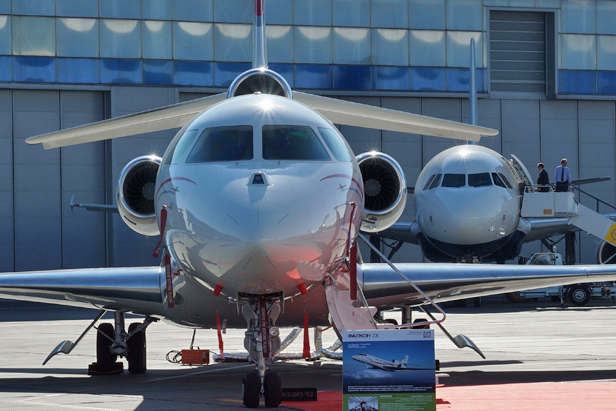 For the ninth time Moscow’s Vnukovo Airport has hosted Jet Expo, one of the largest business aviation exhibitions. A total of more than 100 international companies took part in the exhibition. Among those presenting their latest aircraft were: Airbus, Boeing, Cessna Aircraft, Bell Helicopter, Embraer, Bombardier Aerospace, Dassault Aviation, Gulfstream Aerospace Corporation, Beechcraft Corporation, Daher Socata, and others. Russia’s offerings at Jet Expo included a VIP version of the Sukhoi Superjet 100, built by JSC Sukhoi Civil Aircraft.